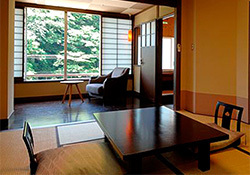 Guests can choose from the Japanese-style room or the semi-European style. 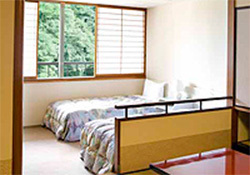 The Japanese-style room has 10 tatami mats and the semi-European style room has 7.5 tatami mats and 2 beds. 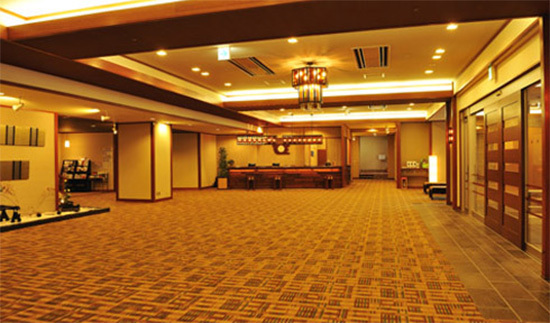 Both rooms are popular among groups and families. 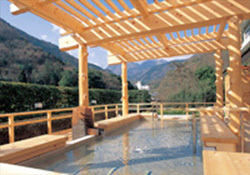 There are 5 hot spring sources in this hotel and visitors can enjoy the view of the mountains of Hakone from the observatory bathhouse. 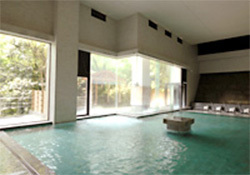 There is also a foot bath to enjoy the hot spring lightheartedly. 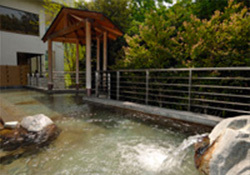 A hot spring facility called "Yu no Sato" is located near the hotel, and visitors can enjoy 17 types of hot springs there. Odakyu line Ltd. Exp. "Romancecar"
JR Tokaido line "Rapid Acty"
Approx.5 minutes by Yumoto Onsen Union Bus from Hakone-Yumoto Station(100yen). The bus is available 15 / 45 minutes every hour between 10:15am to 6:45pm.